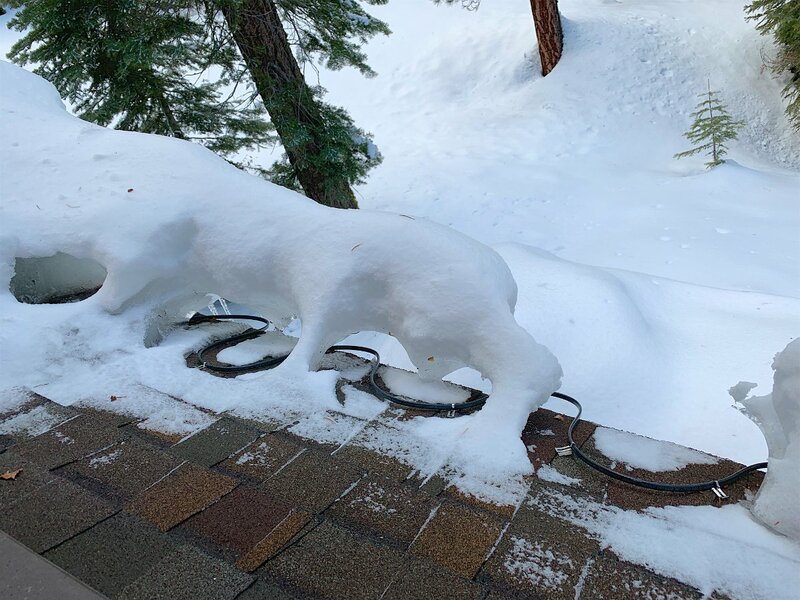 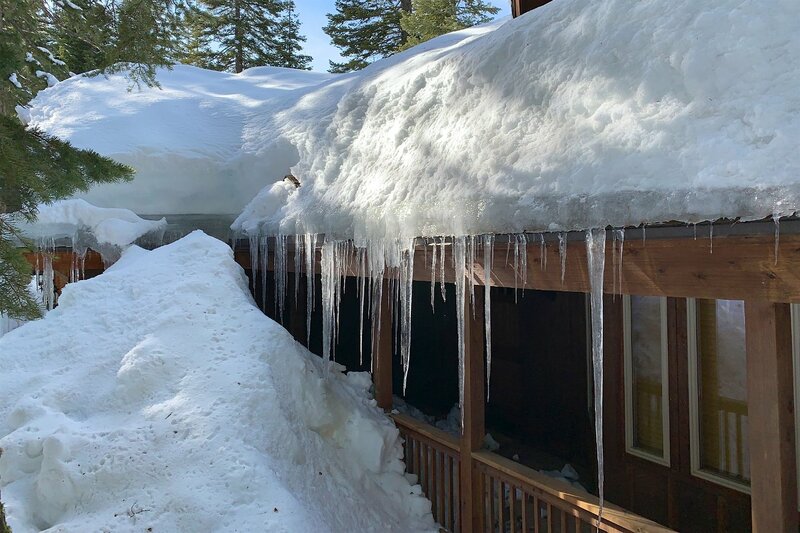 The concern here is how the melt water from the roof continues to fall and refreeze into a slab of ice on the deck – getting up to the door thresholds. 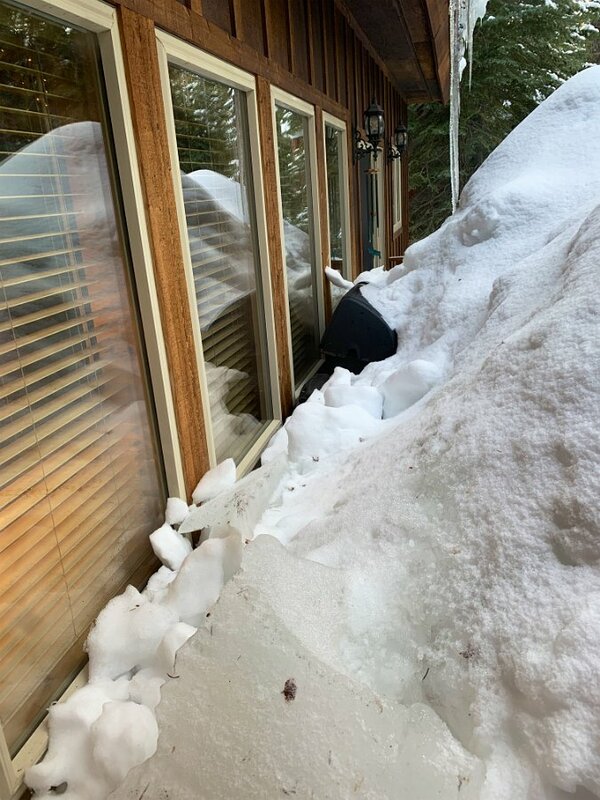 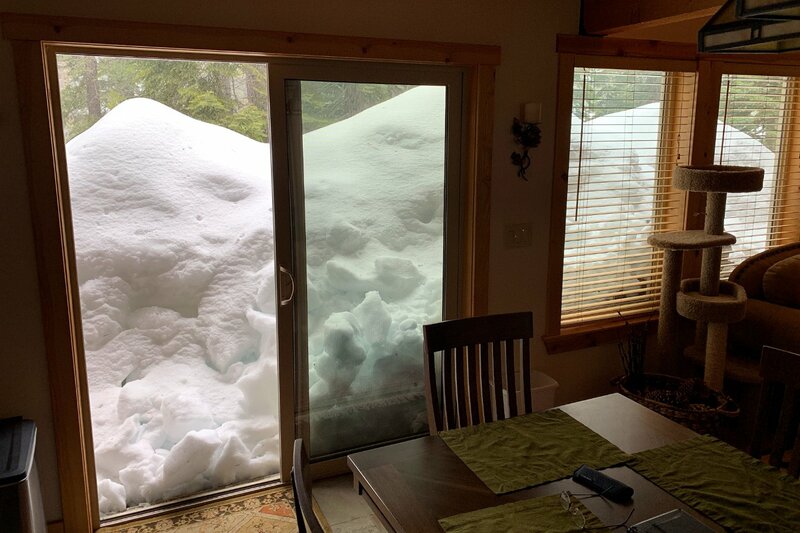 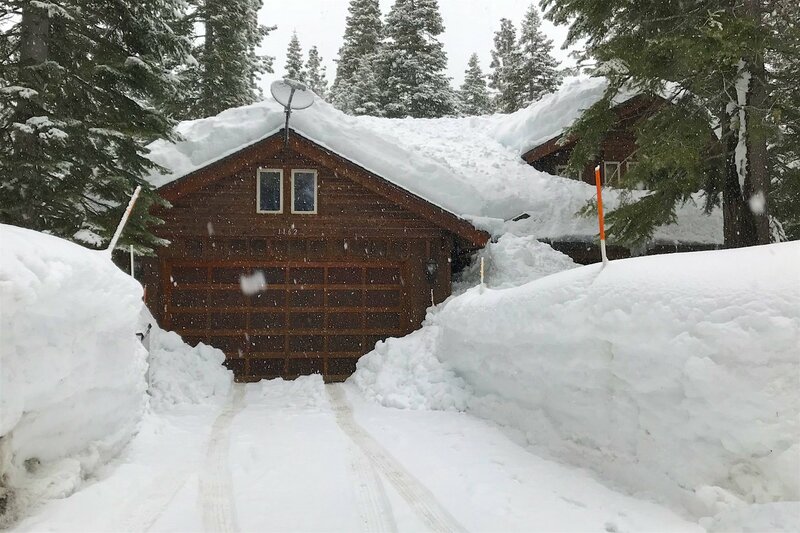 We are starting to get a little bit warmer weather so we’ll see how this goes in the coming months but this clearly needs some work to avoid this mess in the future – both the ice dam formation and the ice slab on the deck. 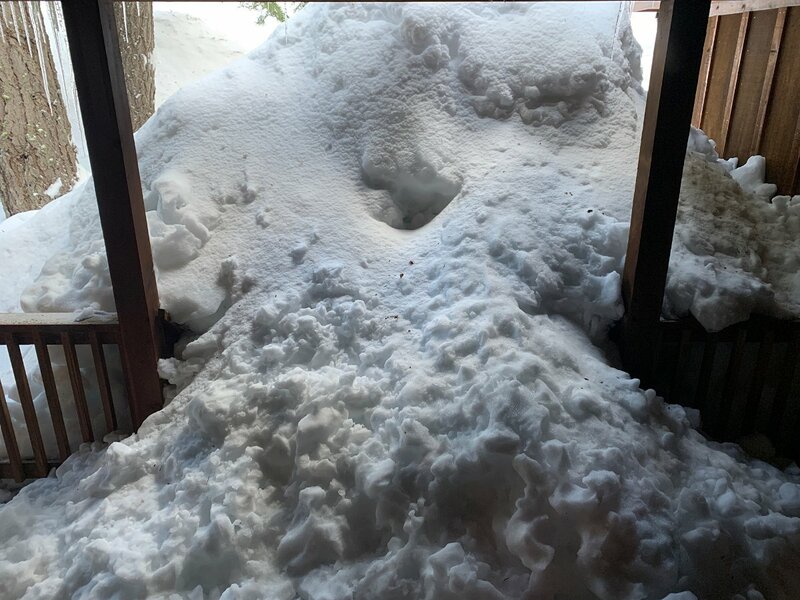 All of this makes me wonder if it was worth hiring that crew to do that partial snow load removal. 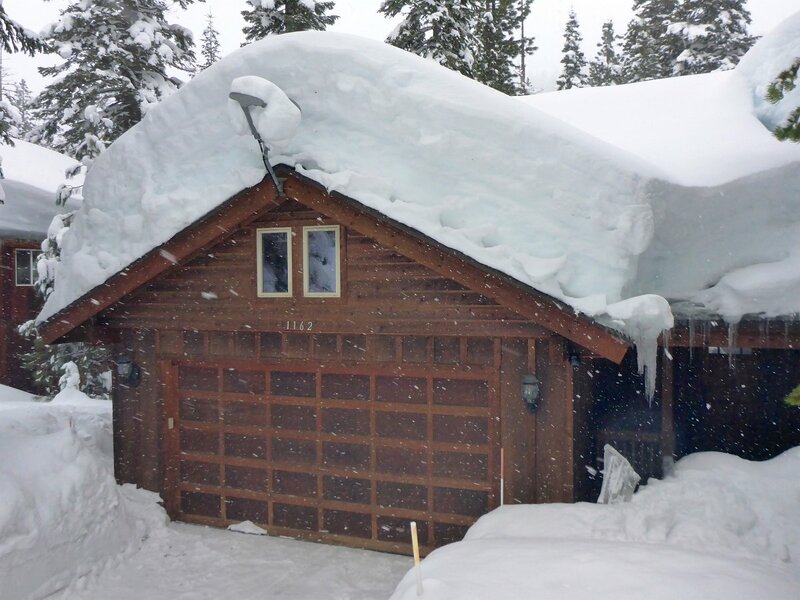 I can see some more shingles are peeling off the roof eaves but maybe it would be worse. 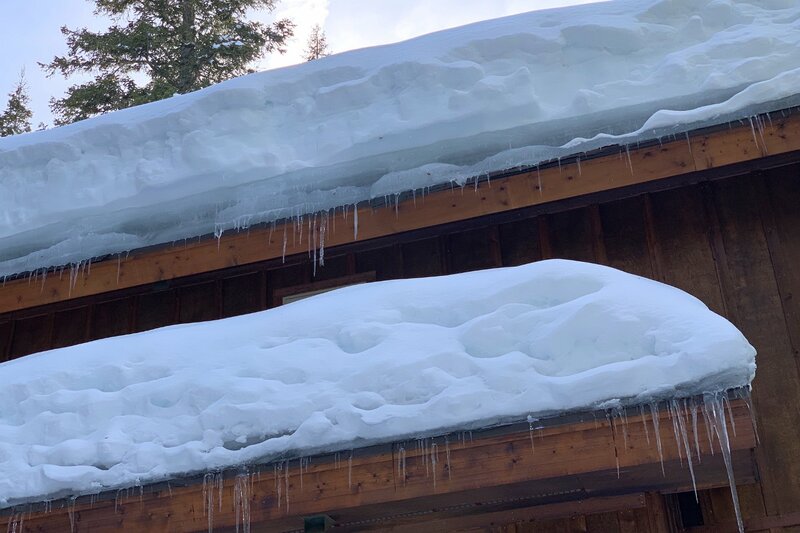 On the other hand, the ice dams remain until they eventually melt away and there’s plenty of snow remaining (and to come) to feed them. 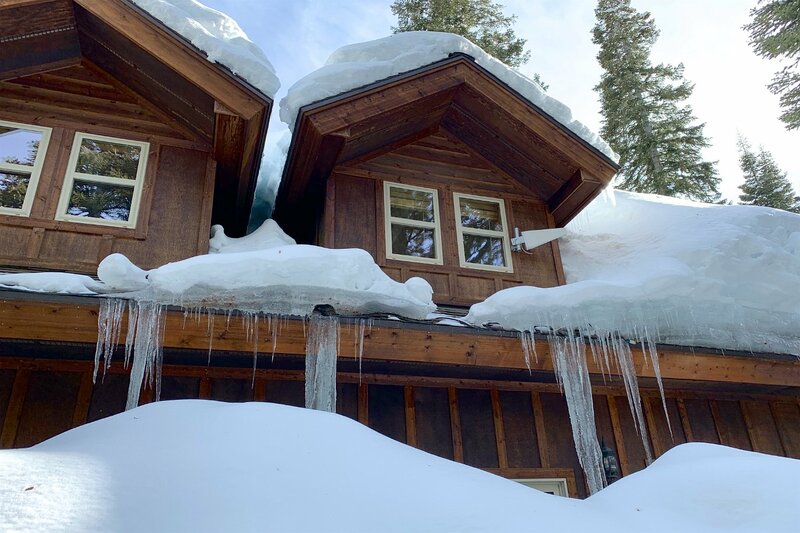 Hopefully there won’t be any water intrusion elsewhere on the roof where there are no heat cables installed.